On this day in history, 72 years ago, Italy signed an armistice with the Allied Forces. The date is known as “The Catastrophe.” Sadly, it did not mean the end to hostilities for the Italian people. Quite the contrary. It brought the war home to Italy and marked the beginning of a brutal occupation by the Nazis and their fascist allies as Italy descended into civil war. Piemonte was not immune to the terror. Across the country, brave civilians, clergy, government officials and even police and soldiers defied orders to turn over Jews for deportation to the death camps where the Final Solution awaited them. 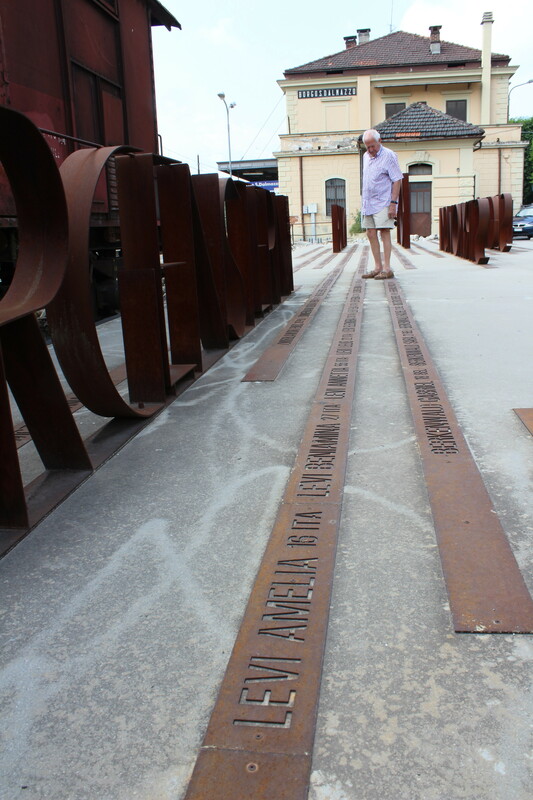 In a somber moment, a descendent of Holocaust victims, Dan Hoffman, at the Memorial to the Deportees in Borgo San Dalmazzo. It has been quite an eye-opener for me to learn more about this dark period of history in Piemonte. 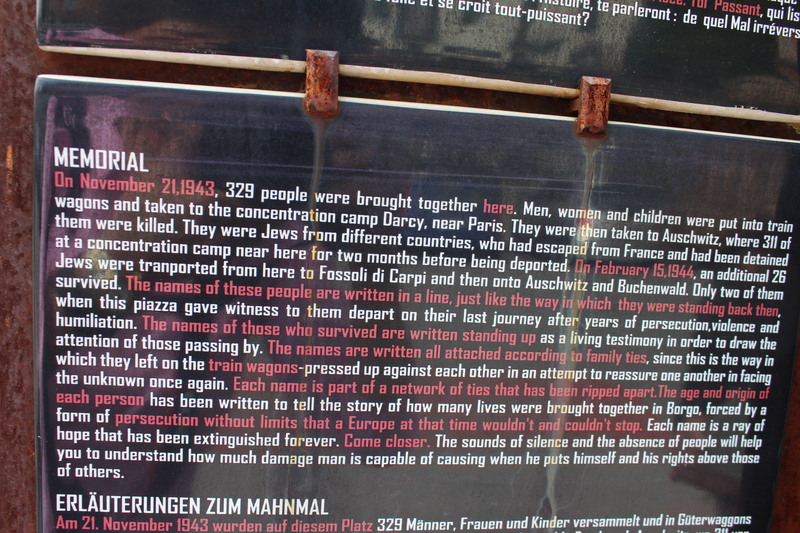 This past summer, I even went to Borgo San Dalmazzo to the Memorial of the Deportees and up into the alpine valleys where refugee Jews from St. Martin-Vésubie thought they were coming into a safe zone. There were not. 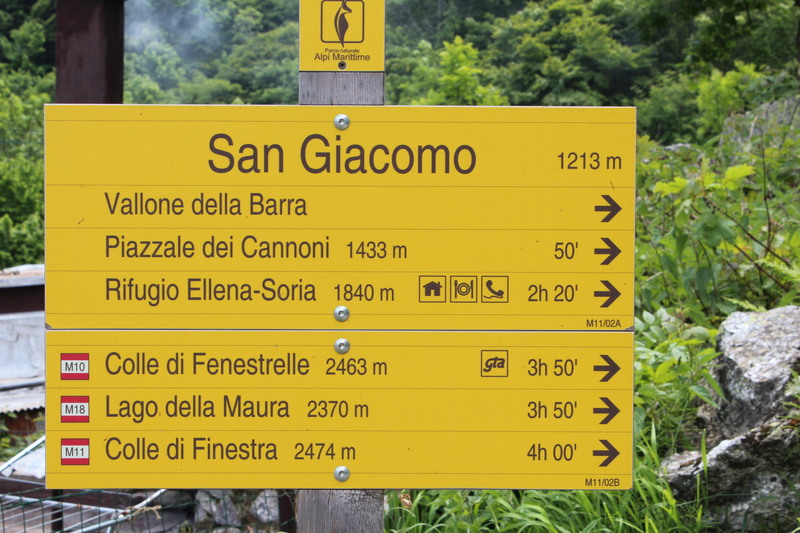 San Giacomo, one of the alpine hamlets where Jewish refugees from the Holocaust following the retreating Italian Army arrived. 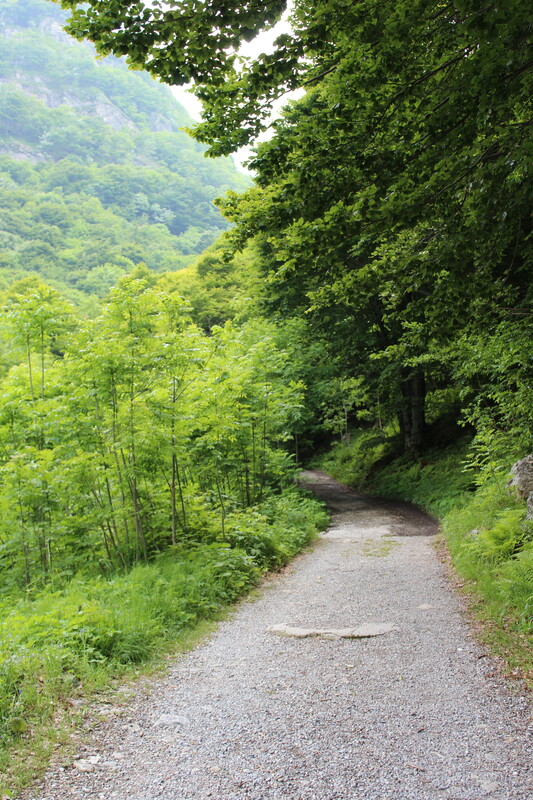 A bucolic hikers path from San Giacomo to the Colle di Fenestra today, but what should have been a path to freedom for 1,000 Jews from St. Martin-Vésubie 72 years ago. My research allowed me to put into context the acts of heroism of ordinary citizens like Giovanna Rizzolio‘s grandmother Beatrice Rizzolio (whose name is listed as one of the Righteous Among the Nations at Yad Vashem), Claudia and Silvia Cigliuti‘s grandparents Cornelia and Leone Cigliuti, Giacomo Oddero‘s mother Maria and many others. Wine families across the region were often caught between one or several partisan factions and the German army with their fascist allies.